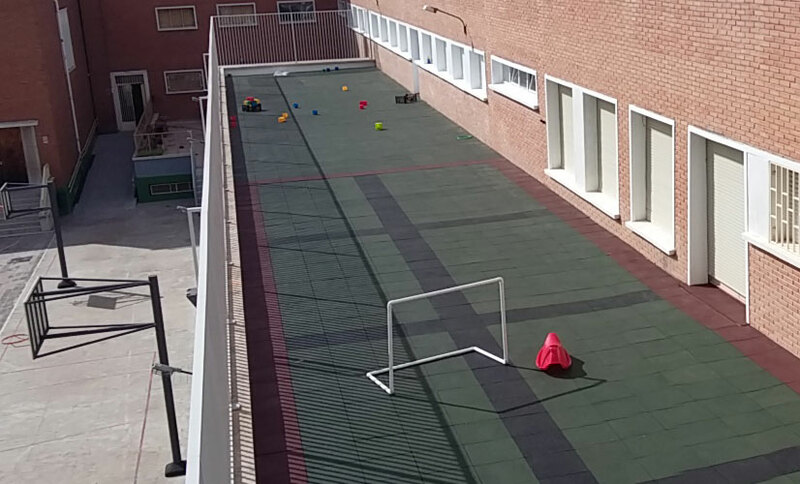 La Purísima school, located in Madrid city, has trusted in us again. They have asked us for a safety flooring for their playground. We recently installed an Infinity vinyl flooring in the classrooms for primary school. And this time they were looking for a flooring for a terrace that they use as a playground. This big balcony had a flooring with prefabricated tiles. 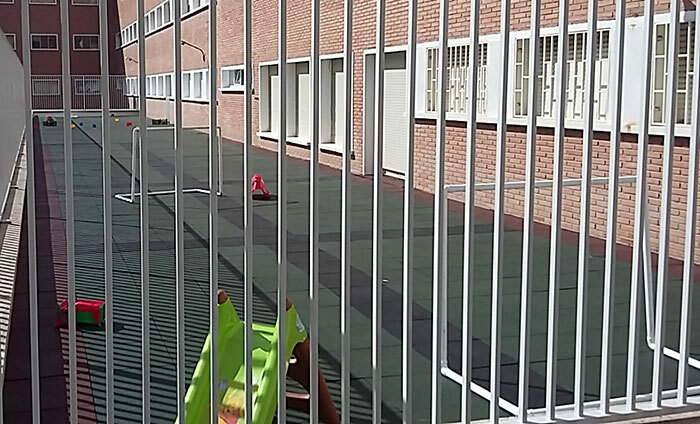 But they needed a suitable floor so the children could play safely. A secure floor that will cushion possible falls. We suggested them to install Supragom rubber tiles. 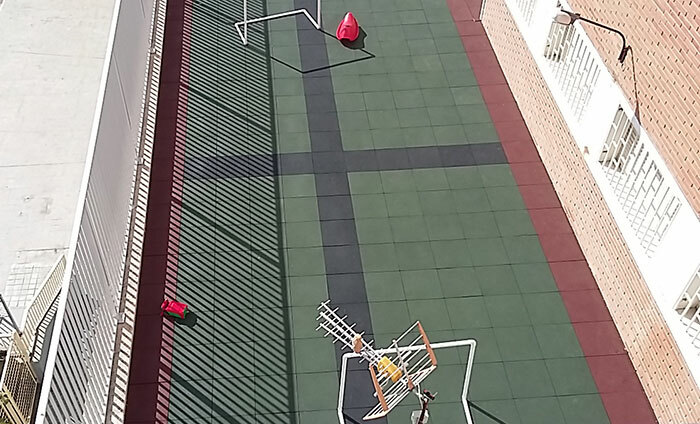 An outdoor rubber flooring which has a high resistance to impacts and a very good dimensional stability. Besides, it fulfills the UNE-EN1177 children playgrounds regulation. The fabrication process of Supragom rubber flooring reaches the strictest quality measures. It is a product manufactured in Spain with 100% European materials. Also, it is an elastic flooring, which cushions possible falls. It is anti-slip and soundproof. And it is resistant to both adverse weather conditions and UV rays. Its permeability to water facilitates a quick drying, without leaving puddles. It is also suitable for installation in climbing walls, climbing centers or gyms. Or also as security floor in pedestrian zones. Produced in 50×50 centimeters, it is available in two different thicknesses: 2 and 4 centimeters. The 4 centimeter tiles are also available with one or two bevels. For a better finishing of open areas. It is possible to choose among three colours: red, green or black. It is also possible to combine tiles of different colours. In this project the three colors were combined, to achieve a more cheerful atmosphere, according to a children’s playground. 230m2 of green tiles were installed, 34m2 of red tiles and 21m2 of black tiles. All in 2 centimeters thickness.